The Brewhouse Apron is a one size fits most adult size apron, with printed on corset and beer mugs. 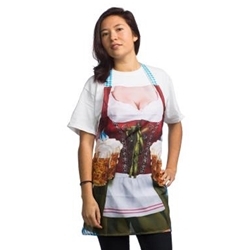 This apron is suitable as part of a German Oktoberfest costume. Pair with a Pigtail Hat for a festive look for a party or for Halloween!